This post is LONG over due but I want to introduce you to the new love of my life! 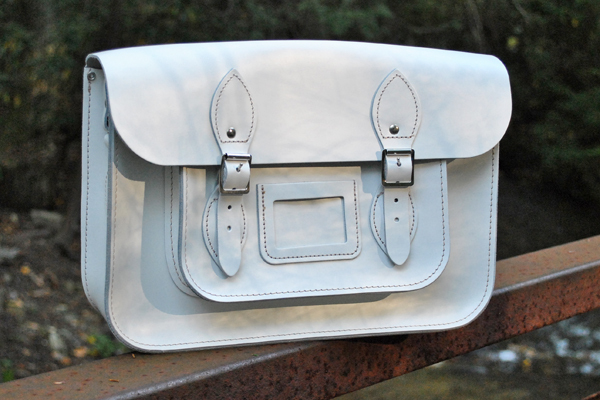 My new "Snow White" leather satchel from The Leather Satchel Co. Isn't she gorgeous? 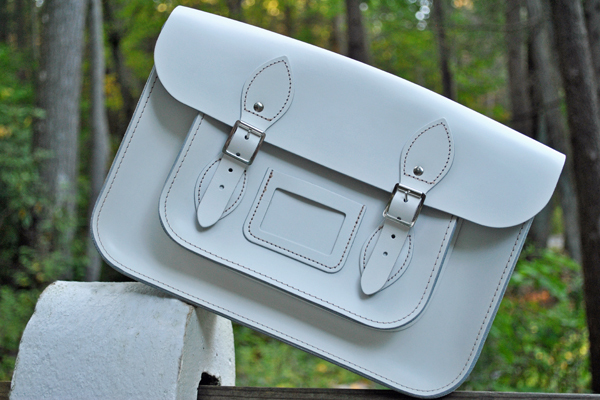 I was head over heels excited that she was mine and I anxiously awaited her arrival from The Leather Satchel Co. When it came I just could not wait to open it up that I sadly forgot to snap a picture of it packaged but it was simply gorgeous and understated. I know there are a lot of other companies out there that sell satchels so you might be asking why I choose to work with The Leather Satchel Co. Well, for many reasons-the main one being their craftsmanship. The Leather Satchel Co is a British team of leather-workers and craftsmen that formed in the late 1960's and since then have been creating all manner of things out of leather. Their satchels come in 5 different sizes-perfect for any occasion or need! I also loved that the bags come with a 5 year craftsmanship guarantee. Meaning that if at any time I feel that the stitching is wearing or coming undone or a buckle needs to be replaced they will repair it free of charge! I honestly don't think this will happen because of how well they are built but it's still nice to know that they are willing to repair it if need be. The one thing I wish I would have asked to have done was for my bag to be embossed which they do. Maybe I can get it done on another bag in the future? :) Like on the gorgeous Fresh Lilac, Fuchsia Pink, or Sherwood Green! OH did I tell you about the colors? The Leather Satchel Co has a huge variety of colors to choose from in various sizes that it will honestly take you forever to select the perfect combination. They have the newest colors posted on their Facebook page (HERE). My overall opinion- exquisite! Craftsmanship, structure, customer service, material-it is all exquisitely perfection! If you were to ask me what bag you should get that will last you forever and always be in style I would without hesitation recommend The Leather Satchel Co! Stay tuned-these gorgeous pictures of my new baby are from tomorrow's outfit post! Thank you The Leather Satchel Co for sending me this bag! I absolutely LOVE it and will forever treasure it! Jelly! 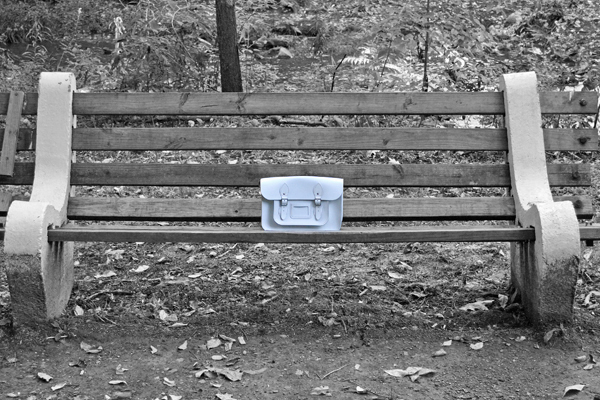 I am dying for a Cambridge satchel. Love the color. Gorgeous bag! What a great color for the season. P.S. Since readers can't right click to open a new link it would probably be better for your blog if you had links open in a new window. @Erica of Style Activist. I'm not sure if you are aware that Cambridge Satchel is actually a different brand from "The Leather Satchel Co." featured in this blog of beijos- Tiffany. Also I don't think that Cambridge Satchels comes in snow white color. Unless they will figure out that it does look cute in white and will start making them. But anyway the brand is The Leather Satchel Co. Brief info about the brand is mentioned in her her blog too. 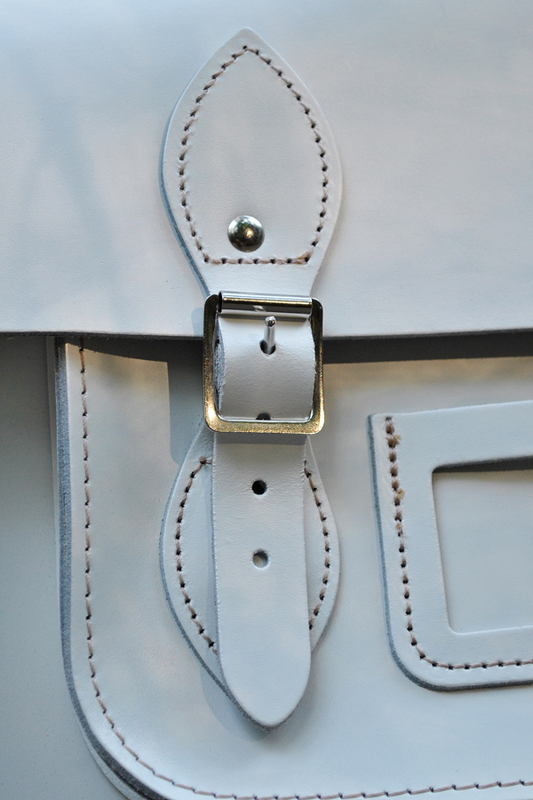 how do you think the leather satchel co. differs from the cambridge satchels? apart from the obvious (colors and sizing). thanks! Firstly TLSC make their own satchels. Whereas CSC commission various leathersmithing workshops to make their satchels for them. This is why the quality of CSC satchels vary greatly within their own range. Some workshop will make some colours, sizes whilst others craft other sizes and colours, etc. TLSC make all their own satchels so they can guarantee the workmanship and also offer a 5-year craftsmanship guarantee, no other satchel company offers that. Secondly, TLSC are a team of artisan leathersmiths and master craftsmen. They have been satchel-makers since 1966. The TLSCs experience shows in their satchels. TLSC was creasted just a couple of years ago to help fill in the growing demand for Retro British Style Satchels and Luggage. CSC have undertook masses of marketing and have successfully helped drive the demand for this British Oxford and Cambridge (aka Oxbridge) Style satchel to the point where a lot of people now refer to this style purely as a Cambridge Satchel. The styling has been recorded in the V&A fashion archives since 1930 and has existed long before either company. The ownership of the design is public domain for British companies. The TLSC make satchels for many many different companies and brands, but they don't disclose who those brands are or aren't. I also just want to make clear that I wrote this on behalf of The Leather Satchel Co. and that I am a member of their team, so my opinion may be a little biased, but I have tried to answer this question with a relative degree of fairness and have answered in the 3rd person to represent this.